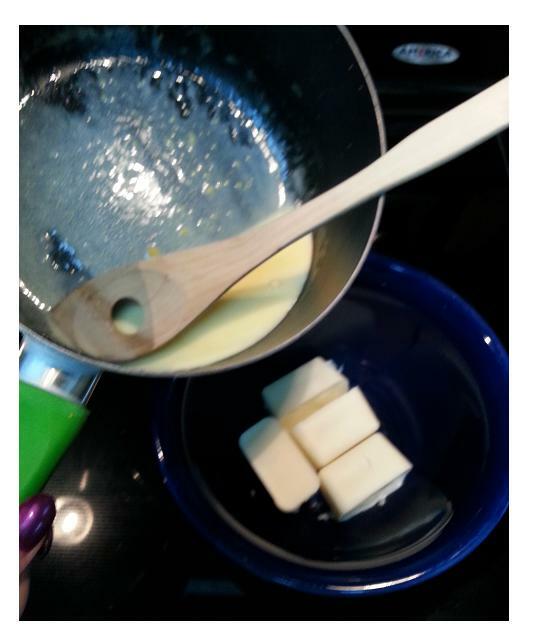 Place 8 ounces white chocolate in a bowl, preferably ceramic to hold the temperature, and microwave for about 30 seconds to start the softening process. 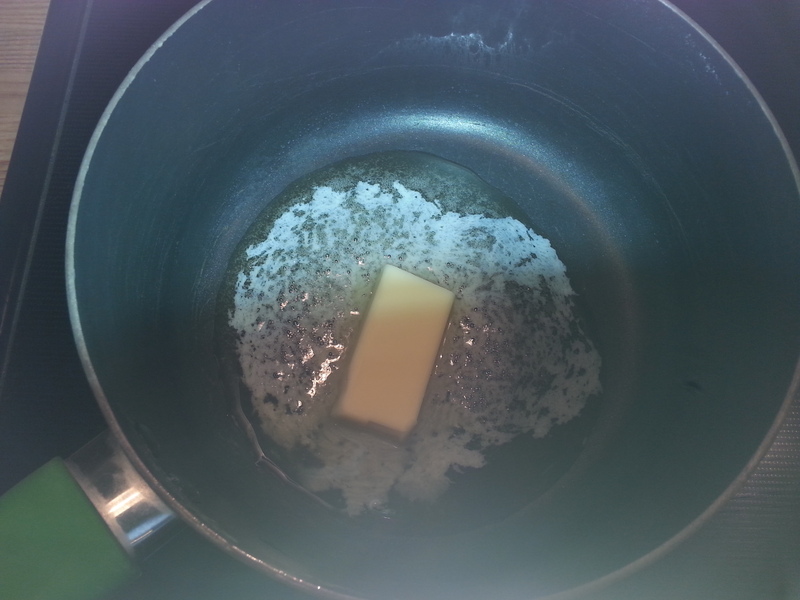 Once the butter has melted and is bubbling, add the heavy cream and scald. 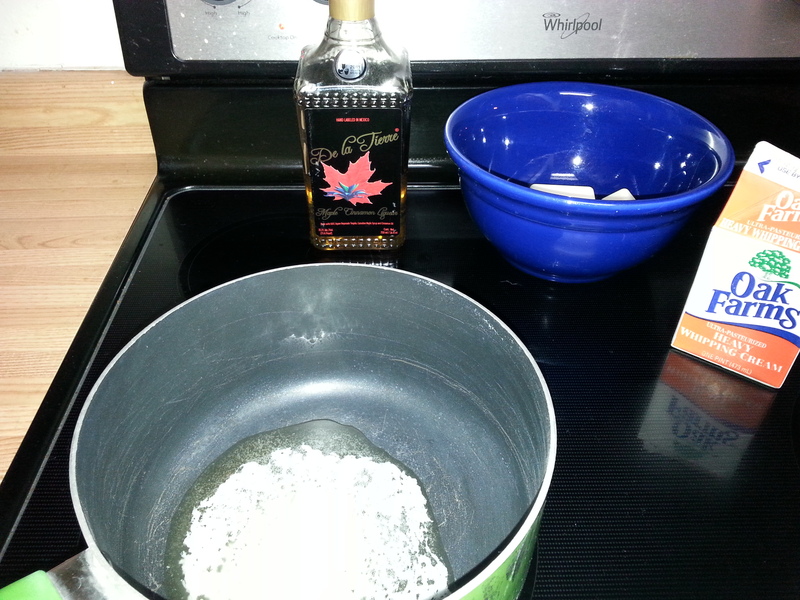 Add De La Tierre Maple Cinnamon Tequila and 1/ teaspoon cinnamon to the contents of the bowl and whisk again. When the filling is frozen, place the other 8 ounces of white chocolate in a microwave safe bowl and microwave in 15 second intervals, stirring well each time, until it is melted. Be sure not to microwave it too long as it will burn. 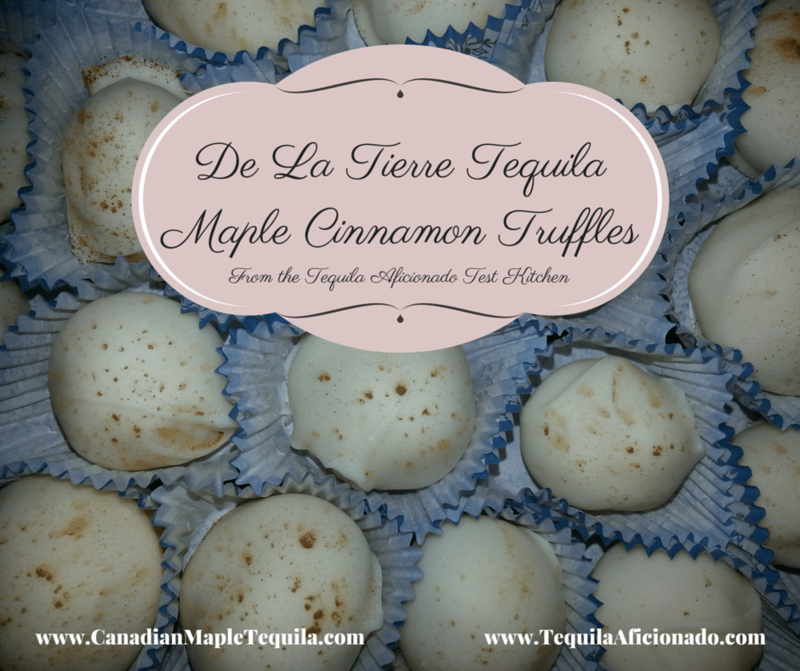 Try this recipe for @mapletequila Truffles. Remove the balls of filling from the freezer and, using two forks, roll each ball through the melted white chocolate to cover it completely. (This can get messy if you don’t work quickly.) Let the excess chocolate drip off and then place on a freezer-safe plastic plate or a plate covered with wax paper. Before the chocolate shell has set, you may choose to garnish with a sprinkle of cinnamon as I did.